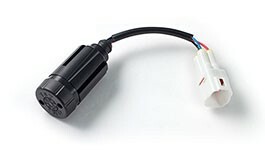 Advantages: Plugs into OEM harness, no splicing. Easy upgrade. Disadvantages: I wish the modulator was a smaller so it could fit under the bracket for the seat lock. I had to bring the modulator forward towards the battery and displace the turn signal modulator to give it a home. Otherwise my review would have been 5 stars.